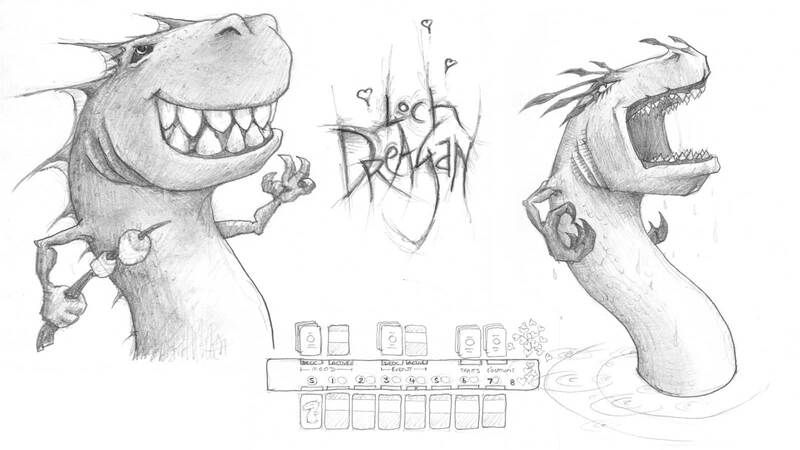 Here is another compilation of sketches that illustrate some of the explorations for the Loch Dreagan game concepts. 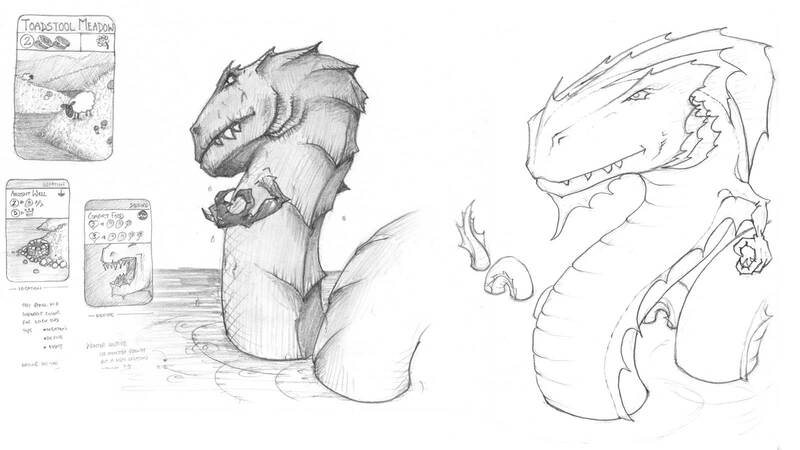 I am still having lots of fun throwing concept ideas for the Monsters or the Scots down on the paper (downtime at Eisteddfods can be productive). I am trying to emphasise the qualities in a long skinny monster that highlight its aquatic nature white tipping the hat to reptiles, dinosaurs and dragons. There are elements that can be injected into the concepts from shark fins and gills to dramatic fish fins – all of which help blend the designs into the Loch environment. The hands, faces and other more anthropomorphic elements breath character into the ideas, let us relate to the different personalities. 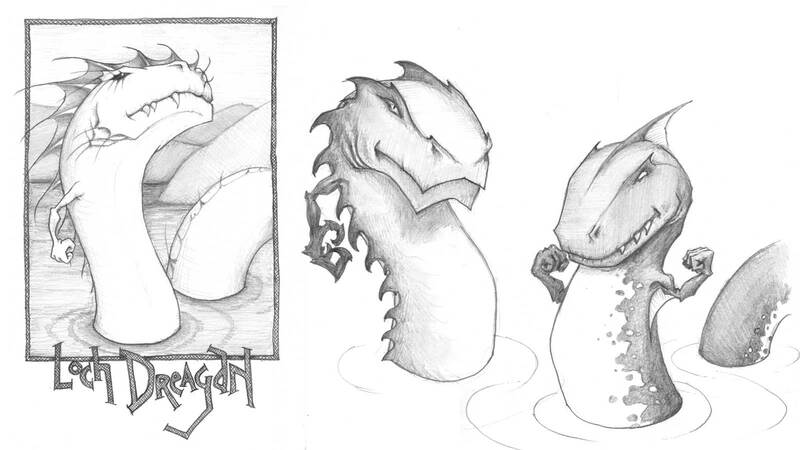 So for Loch Dreagan each male and female monster will be identifiable – even if just by name and image. The game of Legendary was lotsa fun – not sure how we took down Magneto, but it was satisfying to do so. Here was another lost opportunity in the games presentation. Despite the untold wealth of illustrations for each of the heroes – we get the same image on each card. So all the Spider-Man cards have the same image on them, why could we not have had different ones??? 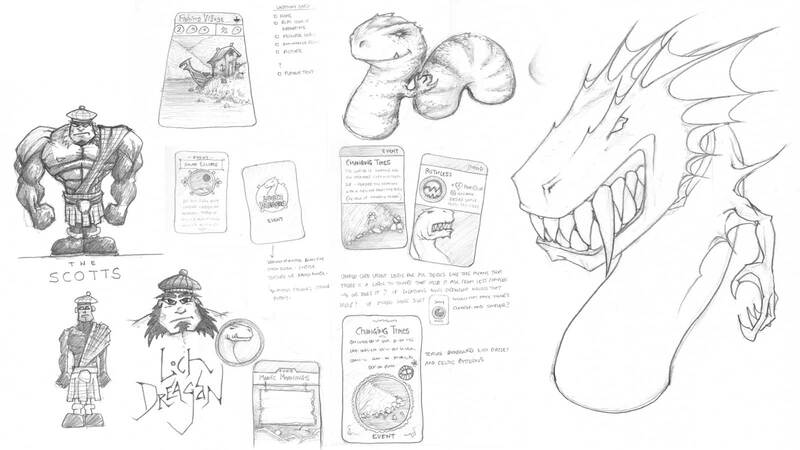 Speaking of card design, you can see in the images below some more thoughts on that – as the game elements to go on them are refined I will bring these ideas into Photoshop or maybe Illustrator or InDesign if they will work out better. Designing the structure of both the front and back of the cards is an interesting exercise, having the cards form up as a set while making sure the different card types stand out is a challenge. Size and colour are obvious differentiators when I get to that part in more detail.